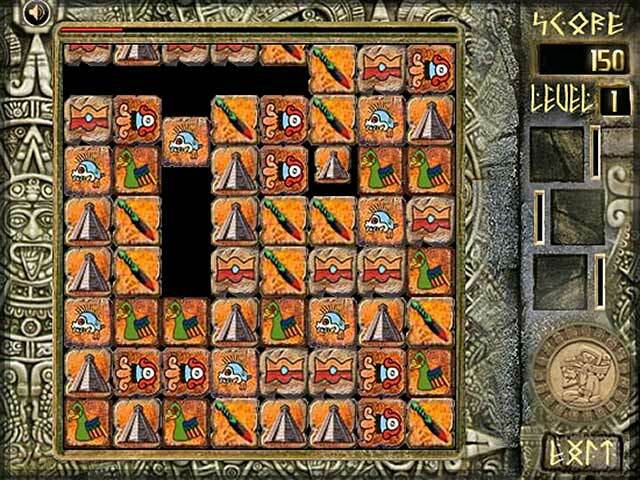 Deep in Montezuma's great pyramid, you've discovered a treacherous puzzle. 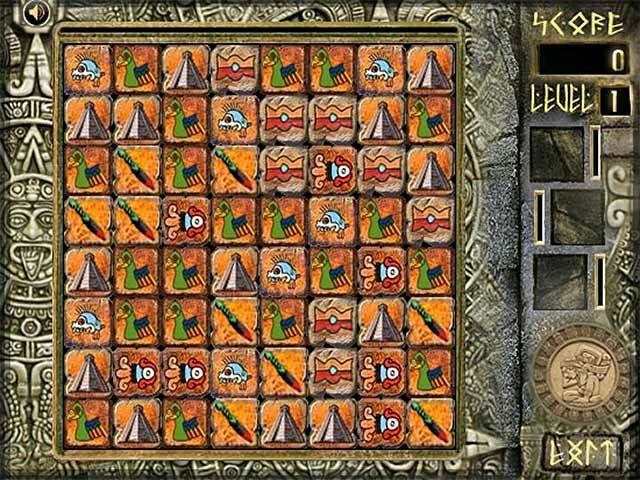 Can you match the cryptic Aztec Blocks to escape?Montezuma will have his Match 3 revenge!Deep in Montezuma's greatest pyramid, you've discovered a treacherous Match 3 puzzle. 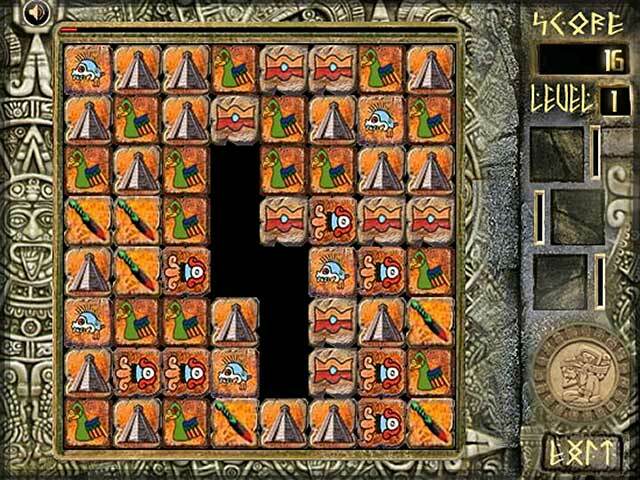 Now, you must match the cryptic Aztec Blocks in groups of 3 or more to free yourself from the pyramid's grasp. Watch the right side for 3 bonus tiles that can replace any tile, act as a wildcard, or move tiles diagonally. To use a bonus tile, click on it and then place it on the board. 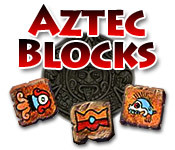 Don't run out of moves or the Aztec Blocks will keep you trapped forever.